Marc Palombo is an offshore lobstermen based out of Sandwich, MA. He has been married to his amazing wife Terri for 32 years and has two beautiful daughters who you can tell are very proud of their dad (and his amazing passion for playing and coaching lacrosse!). Marc and his crew successfully launched 3 of our miniboats this year: the Nequasset and Midnight Moon in February, and The We-Ha Cruiser in May. He even made narrated videos so the kids can watch the launchings once they returned to port. I have known Marc for over 15 years and he has volunteered his time with several different projects including eMOLT (Environmental Monitors on Lobster Traps). Marc and Jim Manning (our EP team Oceanographer) have worked together from day one to attach temperature probes to some of Marc’s lobster traps and those probes have been recording bottom temperature for 15 years and continue to collect that important data to this day. 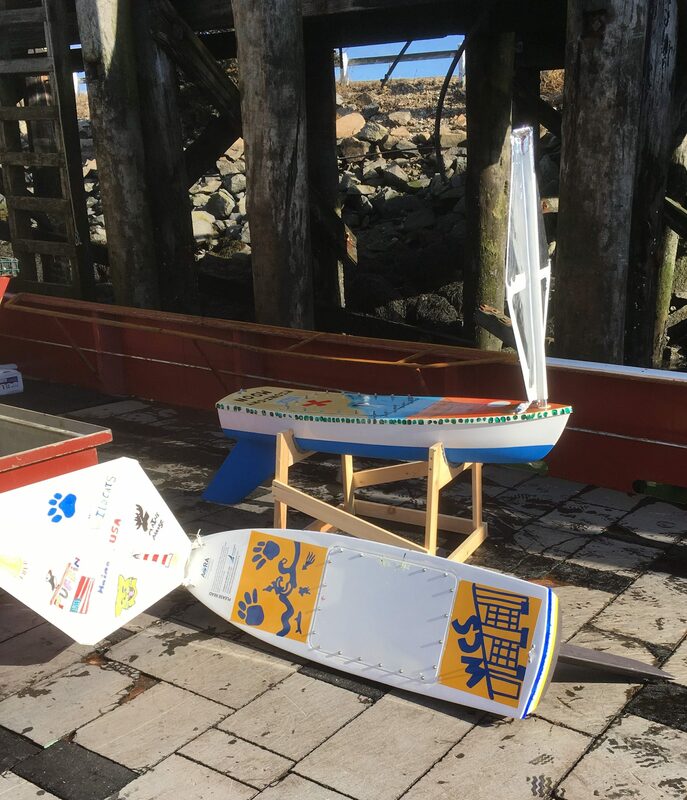 The eMOLT project collects bottom temperature data sets at fixed locations, from volunteer fishermen all over the Gulf of Maine and Jim works endlessly to use this information to validate ocean circulation models. Marc saw a need to help Jim collect the information and he stepped up to the plate. 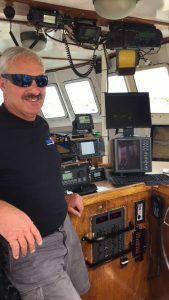 Fishermen in the Gulf of Maine face an enormous amount of pressure due to many different regulations on their fishery and Marc spends hours going to meetings and participating in discussions in order to give his input and stay informed. It’s not an easy career being an offshore lobsterman, long days and weeks at sea and time away from home are far from simple. Marc told me once that if you don’t pay attention and be a part of the solution then you will end up with no options or a place at the table for the important conversations. 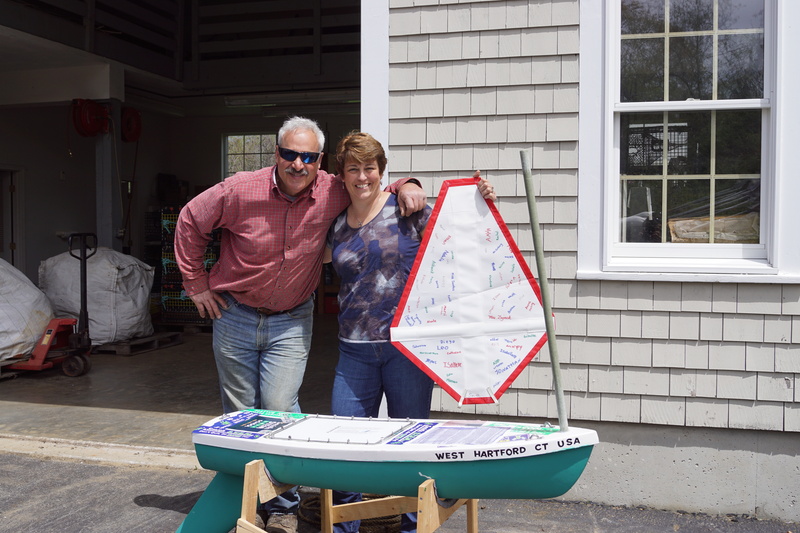 Asking Marc and his crew to launch our miniboats was a natural progression from his interest in data collection, marine conservation, and education (did I mention he is an amazing women’s lacrosse coach at Mass Maritime?). Knowing Marc’s gentle manor and dedication to science he soon became one of our favorite Captains to launch our precious miniboats. Educational Passages is built on collaboration, interest and trust between many people and entities. We rely on the kindness of many volunteers and want to highlight Marc for his awareness to get involved years ago in collecting data on the bottom of the ocean to now helping collect data at the surface. 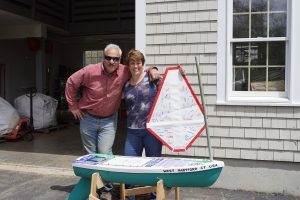 Here is to Marc Palombo and the crew of F/V Terri Ann and your support in our miniboat program!